Life is not always perfect and everyone, regardless of how good they are, will always have people or obstacles in their life that try to hinder and stop their goals in life. This fact should always be remembered and instead of feeling down about yourself or trying to simply ignore all the bad things in your life, the best course of action is to grow as a person and learn from these challenges. The obstacles in your life will actually help you grow and understand yourself and what you are made off. 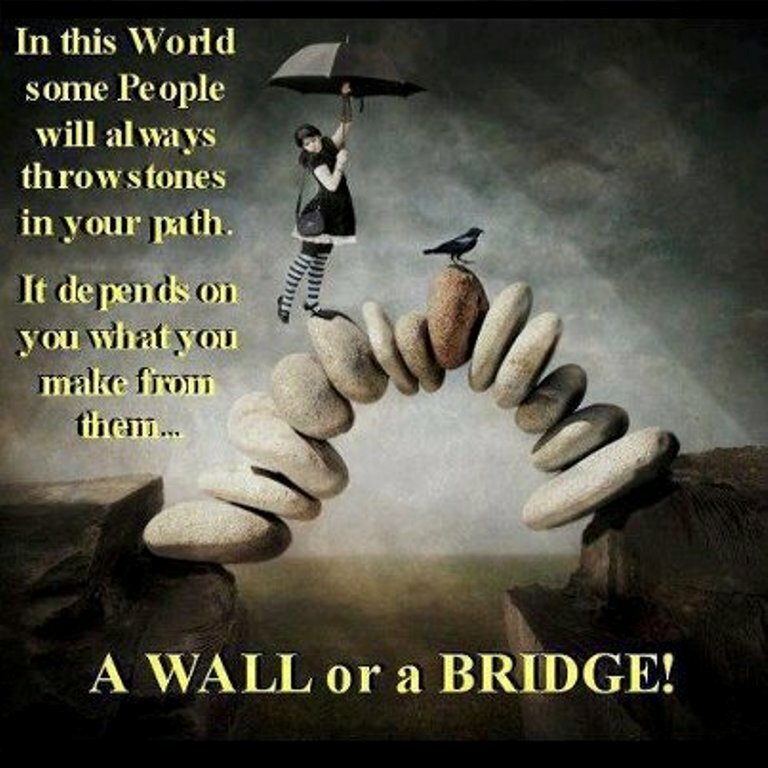 So embrace every challenge and use them as a way to build a bridge to every goal you set for yourself!